Available in the forms of pellets or beads, our white deliquescent solid Caustic Soda Flakes are highly acclaimed by the clients for their precise composition. The Caustic Soda Flakes have property of absorbing carbon dioxide and water from the air. 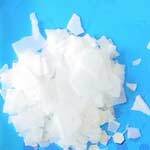 The company is the chief Caustic Soda Flakes Importer and Supplier in India.